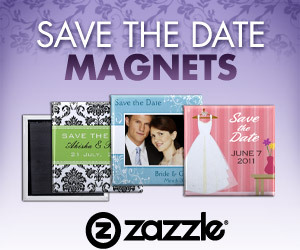 If you have just been proposed to then you will undoubtedly have the word wedding on the brain. Questions are likely to be racing through your head at a hundred miles an hour … What are you going to wear, who are you going to invite and perhaps most crucially where are you going to hold both the wedding ceremony and the reception. With many people now looking at alternative venues to churches to get married in the list of available options is endless. One of the benefits of living in a large city like London of course is that it offers some slightly more quirky and unusual venues. A particularly popular London Wedding Venue is one of a floating nature. Moored in the city amongst many of the cities famous landmarks such as St Paul’s Cathedral, the London Eye and the Southbank are a number of vessels that are available for hire. Not only do these venues cater for wedding receptions but there are also some which hold a wedding and civil ceremony license enabling you to get wed onboard should you wish. Of course even if you do decide that you would prefer to get married in a church you will of course still have the reception venue that you will need to consider and organize. Your chosen London Wedding Venue will likely have an experienced events management team and/or wedding planner provided to help you plan your day. Whether you want your wedding to be formal or fun or intimate or grand they will work closely with you to ensure that even the smallest details are addressed and considered and that it runs smoothly from start to finish. In terms of budget there will likely be a number of different wedding packages that your chosen London Wedding Venue can provide you with. These will range from a standard Classic package to as the name suggests an Indulgence Package. The size of your budget will likely dictate which package will best suit yourself and your husband to be. It is also worth considering though whether a midweek wedding might suit you as whilst most brides and grooms prefer to get married on a Friday or Saturday many wedding venues will offer a package that is of the same quality but is more attractive from a cost viewpoint. Opting for a midweek wedding may then free up some of your budget allowing you to choose some luxury add-ons. Perhaps a themed wedding is something that you would like to consider. One possibility would be to play on the venue itself and choose something such as a James Bond theme. You could even excite your guests and extend your theme further by arranging either for yourself and your future groom or your guests to arrive at the venue via speedboat! Whatever you decide you can be certain though that choosing a unique London Wedding Venue such as this will make both friends and guests envious and provide yourself, the groom and them with a day to remember forever.